The mirror was shipped and arrived promptly. It was as advertised and the fit could not have been better. It came with mounting hardware which was good. I have bought other replacement parts in the past and will continue to do so as needed in the future due to price and quality. Installation is straightforward, except electrical connection which requires foresight and planning. After minor body work to correct the damage that forced this purchase the fit was excellent. Operation very smooth. I bought the mirror to fix my father-in-laws truck. The only down side to my order was the shipping. It was delayed for unknown reason for four days past estemated arrival date. Very impressed with the quality, functionality and price. My wife searched the web and ordered this mirror assembly after the original broke. When I heard she paid such a small amount for your product, my first impression was that she messed up and didnt order the complete assembly. Man, was I wrong! This assembly looks and functions great. Its so good that it makes the mirror on the passenger side look terrible in comparison. We will soon be ordering a replacement for the bad looking mirror even though it still functions. Thanks for the great product. I placed my order on a Tuesday and received the merchandise on a Saturday. Very satisfied with the item and it was very easy to install, even for someone who has very limited mechanical skills. I will use 1A Auto again, probably in the near future. I highly recommend these folks. The mirror arrived quickly and was packaged very well. The installation video was excellent. Thank you! The Driver side mirror that I ordered was a very nice part. It was packed well and everything was first class as was the service and delivery. I would recommend this to anybody that wants a great product for the money. Mirror is of good quality and was easily installed. Came in on time. Was in a cloth bag inside the box, and the vid available was very helpful. Perfect Fit at a great Price. Fit as well..... I will continue to purchase from you folks . Keep videos for the install as well , keep up with the industry. Driver mirror was an identical replacement. Arrived very quickly and well packaged. All hardware was included. I would definitely recommend 1AAuto to anyone. 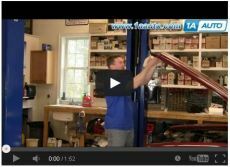 I received the product in excellent condition and installation was a breeze with 1aauto video. I have purchased many parts here and have always been satisfied. Thank you 1aauto. You make having a used truck fun to fix. Great product!! Installation went perfectly. Good looking part as well. Thia is a very good product, it very reasonably priced and the service is excellent and so is the shipping. Driver side electric rear view mirror! I appreciate the prompt service and the quality of this product ! Order was exactly what I needed that matches my old vehicle part. Easy to find on their web site. I had recieved it in 2 days. The fit was perfect. When I need another one I know who to order it from. I could not believe the price on this Mirror Assembly. It was not much more that a Local Glass shop wanted to just replace the Glass Mirror. Surprised at how well it is built. Functions well.